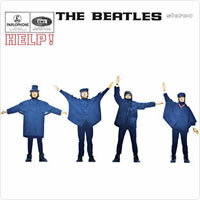 Yesterday was written by Paul McCartney - credited to Lennon/McCartney. Note that most of these chords are used along with other usable chord extensions in that particular key, i.e., Em7, Dm7, A7, and C7. You don't have to play the Dm7 if you find the chord changes a little busy. You may want to play a C bass note instead (3rd fret, 5th string). The C chord over the 'Oh' on the 4th line of each verse can interrupt the flow of the song if you are playing solo. It sounds fine if you don't play it... the choice is yours. The same applies to the chorus where you can play a Dm over the 'Had to go I don't', leading up to the Gm on 'know', instead of the chord changes for each word... it still sounds fine. I have included all chord changes for those of you that want to play it as it was recorded, or thereabouts. 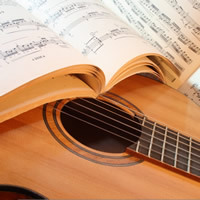 If you are fingerpicking, and the chords don't sound as clean as you would like, you can use a capo on the 5th fret and play in the key of C Major. This may sound a little too high overall as the song is low pitched with a sombre feel. Alternatively, you can detune the whole guitar by 1 tone, and play in the key of G Major. This means you will need to de-tune each string by 1 whole tone. Audibly, it will still sound in the key of F Major. This way, you only have 1 barre chord to play - F#m7 which is easy to play, sounds 'clean' and fits in well. It may be good practice to try this, and much easier to play. 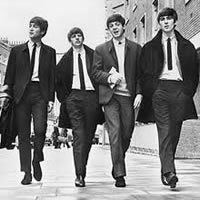 Paul McCartney lamented over the song's production and inclusion on the album as he felt it wasn’t really their style of music. Originally released in the USA where it topped the American charts. Matt Monro did a cover version of the song reaching the UK Top 10 about three months after the release of the album by The Beatles. One of the most covered songs of all time with over 2200 cover versions. First song by the Beatles that relied on one band member (Paul) to perform alone with a string quartet. Won many awards such as Best Song of the 20th Century and Number 1 Pop Song of all Time by Rolling Stone Magazine. 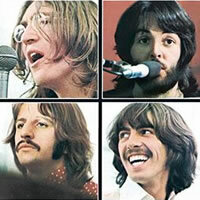 Remains a very popular song today, and rates highly in the Top 10 most popular songs recorded by the Beatles. "Yesterday" chords and lyrics are provided for educational purposes and personal use only.